Al-Qirim, N.A.Y. (2003), "E-commerce in the aerial mapping industry: a New Zealand case study", Journal of Systems and Information Technology, Vol. 7 Nos 1/2, pp. 67-92. Andersson, B.-E. and Nilsson, S.-G. (1964), "Studies in the reliability and validity of the critical incident technique", Journal of Applied Psychology, Vol. 48 No. 6, pp. 398-403. Bartlett, M.S. (1954), "A note on the multiplying factors for various chi-square approximations", Journal of the Royal Statistical Society, Vol. 16 (Series B), pp. 296-8. Basch, M. (2000), "Harness the power of the internet: a new model for the 21st century", Information Executive, Vol. 4 No. 10, pp. 8-9. Bass, F.M. (1980), "The relationship between diffusion rates, experience curves and demand elasticities for consumer durable technological innovations", Journal of Business, Vol. 53 No. 3, pp. S51-S67. Beatty, R.C., Shim, J.P. and Jones, M.C. (2001), "Factors influencing corporate web site adoption: a time-based assessment", Information and Management, Vol. 38 No. 6, pp. 337-54. Routledge, London. Chau, S. (2003), "The use of e-commerce amongst 34 Australian SMEs: an experiment or a strategic business tool? ", Journal of Systems and Information Technology, Vol. 7 Nos 1/2, pp. 49-66. Choudhury, V., Hartzel, K.S. and Konsynski, B.R. (1998), "Uses and consequences of electronic markets: an empirical investigation of the aircraft parts industry", MIS Quarterly, Vol. 22 No. 4, pp. 471-508. Datamonitor (2002), Integrating the IFA: The Golden Goal of STP, reference code: BFTC0696, Datamonitor Europe, London. Davenport, T.H. (1993), Process Innovation, Harvard Business School Press, Boston, MA. Denzin, N.K. and Lincoln, Y.S. (2000), The Handbook of Qualitative Research, Sage, Thousand Oaks, CA. 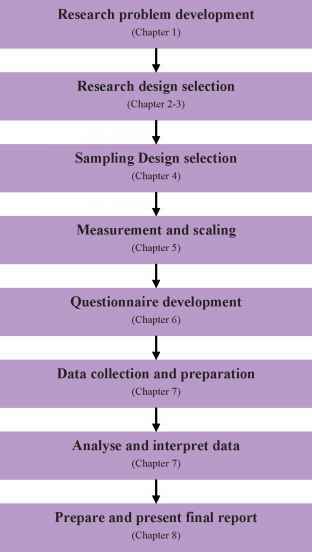 Doolin, B., McLeod, L., McQueen, B. and Watton, M. (2003), "Internet strategies for established retailers: four New Zealand case studies", Journal of Information Technology and Cases and Applications, Vol. 5 No. 4, pp. 3-20. Evans, P. and Wurster, T.S. (2000), Blown to Bits: How the New Economics of Information Transforms Strategy, Harvard Business School Press, Boston, MA. Flanagan, J.C. (1954), "The critical incident technique", Psychological Bulletin, Vol. 51 No. 4, pp. 327-59. Fountain, J.E. (1999), "The administrative state in transition: an exploration of managerial behaviour in an emerging democracy", paper presented at the annual meeting of the Association of Public Policy and Management, Washington, DC, November, available at: www.ksg.harvard.edu/prg/ fountain/citechnique.pdf (accessed October 2004). Gallaugher, J. (1999), "Challenging the new conventional wisdom of net commerce strategies", Communications of the ACM, Vol. 42 No. 7, pp. 27-9. Ghosh, S. (1998), "Making business sense of the internet", Harvard Business Review, Vol. 76 No. 2, pp. 126-36. Hair, J.F. Jr, Anderson, R.E. and Tatham, R.L. (1987), Multivariate Data Analysis with Readings, 2nd ed., Macmillan Publishing Company, New York, NY. Harrison, T. (2000), Financial Services Marketing, Pearson Education Ltd, Harlow. Hoffman, D.L., Novak, T. and Chatterjee, P. (1998), "Commercial scenarios for the web: opportunities and challenges", Journal of Computer-Mediated Communication, Vol. 1 No. 3, available at: www.ascusc.org/jcmc/vol1/issue3/ hoffman.html (accessed October 2004). Johannessen, J., Olaisen, J. and Olsen, B. (1999), "Managing and organising innovation in the knowledge economy", European Journal of Innovation Management, Vol. 2 No. 3, pp. 116-28. John, A. and Davies, R. (2000), "Innovation in medium-sized insurance companies: how marketing adds value", International Journal of Bank Marketing, Vol. 2 No. 3, pp. 6-14. Kaiser, H. (1970), "A second generation little jiffy", Psychometrika, Vol. 35, pp. 401-15. Kaiser, H. (1974), "An index of factorial simplicity", Psychometrika, Vol. 39, pp. 31-6. Kaplan, A. (1999), "From passive to active about solar electricity: innovation decision process and photovoltaic interest generation", Technovation, Vol. 19 No. 8, pp. 467-81. Kimiloglu, H. (2004), "The 'e-literature': a framework for understanding the accumulated knowledge about internet marketing", Academy of Marketing Science Review, No. 6, available at: www.amsreview.org/articles/kimiloglu06-2004. pdf (accessed October 2004). Kolodinsky, J., Hogarth, J.M. and Hilgert, M.A. (2003), "The adoption of electronic banking technologies by US consumers", International Journal of Bank Marketing, Vol. 22 No. 4, pp. 238-59. Kwon, T. and Zmud, R. (1987), "Unifying the fragmented models of information systems implementation", in Borland, R. and Hirschhem, R. (Eds), Critical Issues in Information System Research, John Wiley, New York, NY, pp. 252-7. Laing, A. (1995), "The marketing of financial services to independent distributors", Journal of Services Marketing, Vol. 9 No. 4, pp. 6-18. Lambkin, M. (1988), "Order of entry and performance in new markets", Strategic Management Journal, Vol. 9, special issue, pp. 127-40. Larsen, T. and McGuire, E. (Eds) (1998), Innovation Systems Innovation and Diffusion: Issues and Directions, Idea Publishing Group, Hershey, PA.
Moore, G. and Benbasat, I. (1996), "Integrating diffusion of innovations and theory of reasoned action models to predict utilisation of information technology by end-users", in Kautz, K. and Preis-Heje, J. (Eds), Diffusion and Adoption of Information Technology, Chapman & Hall, London, pp. 132-46. Nguyen, D.T.H.C., Murphy, J. and Olaru, D. (2003), "Investigating the adoption of electronic customer service by Australian businesses", Managing Service Quality, Vol. 13 No. 6, pp. 492-503. OECD (2000), The Bologna Charter on SME Policies: Enhancing the Competitiveness of SMEs, The Global Economy: Strategies and Policies, OECD, Bologna. O'Keefe, R.M., O'Connor, G. and Kung, H. (1998), "Early adopters of the web as a retail medium: small company winners and losers", European Journal of Marketing, Vol. 32 Nos 7/8, pp. 629-43. Premkumar, G. and Roberts, M. (1999), "Adoption of new information technologies in rural small businesses", OMEGA International Journal of Management Science, Vol. 27 No. 4, pp. 467-84. Raymond, L. (2001), "Determinants of web site implementation in small business", Internet Research: Electronic Networking Applications and Policy, Vol. 11 No. 5, pp. 411-24. Rogers, E.M. (1995), Diffusion of Innovations, 4th ed., The Free Press, New York, NY. Rosenbloom, B. (2004), Marketing Channels, 7th ed., Thomson South-Western, Cincinnati, OH. Ryan, B. and Goss, N.C. (1950), "Acceptance and diffusion of hybrid seed corn in two Iowa communities", Research Bulletin, No. 372, Agricultural Experiment Station, Ames, IA, pp. 665-6, 679. Sandler, R. (2002), Medium- and Long-Term Retail Savings in the UK - A Review, HM Treasury, London. Sathye, M. (1999), "Adoption of internet banking by Australian consumers: an empirical investigation", International Journal of Bank Marketing, Vol. 17 No. 7, pp. 324-34. Scott, J. (2000), "Emerging patterns from the dynamic capabilities of internet intermediaries", Journal of ComputerMediated Communication, Vol. 5 No. 3, available at: www. ascusc.org/jcmc/vol5/issue3/scott.html (accessed 22 October 2003). Spector, P.E. (1992), "Summated rating scale construction: an introduction", Quantitative Applications in the Social Sciences, Series No. 07-082, Sage, Newbury Park, CA. Tina Harrison and Kathryn Waite perspective", The Journal of Enterprise Information Management, Vol. 17 No. 4, pp. 301-11. Tarde, G. (1903), The Laws of Imitation, Clews Parsons, E. (trans. ), Holt, New York, NY. Thompson, C.J., Locander, W.B. and Pollio, H.R. (1989), "Putting consumer experience back into consumer research: the philosophy and method of existential phenomenology", Journal of Consumer Research, Vol. 16 No. 2, pp. 133-45. Thong, J.Y.L. (1999), "An integrated model of information systems adoption in small business", Journal ofManagement Information Systems, Vol. 15 No. 4, pp. 187-214. Thong, J. and Yap, C. (1996), "Information technology adoption by small business: an empirical study", in Kautz, K. and Preis-Heje, J. (Eds), Diffusion and Adoption of Information Technology, Chapman & Hall, London, pp. 160-75. Vasudavan, T. and Standing, C. (1999), "The impact of the internet on the role of travel consultants", Participation and Empowerment: An International Journal, Vol. 7 No. 8, pp. 213-26. Walters, D. and Lancaster, G. (1999), "Using the internet as a channel for commerce", Management Decision, Vol. 37 No. 10, pp. 800-16. Wynne, C., Berton, P., Pitt, L., Ewing, M. and Napoli, J. (2001), "The impact of the internet on the distribution value chain", International Marketing Review, Vol. 18 No. 2, pp. 420-31. Zank, G.M. and Vokurka, R.J. (2003), "The internet: motivations, deterrents, and impact on supply chain relationships", SAM Advanced Management Journal, Vol. 68 No. 2, pp. 33-400. Explode your Affiliate Income Today By Learning FIRST How To Become A Successful Affiliate Manager! Do you want to know everything there is to know about running a successful affiliate program that brings you money on autopilot? Then get your hands on this brand new e-book.